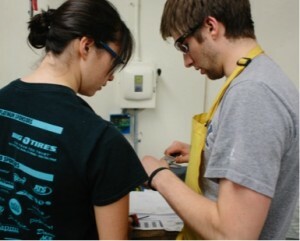 Harvey Mudd College’s RC Baker Foundation Machine Shop offers opportunities for students to turn ideas into reality. The machine shop includes additive manufacturing machines, conventional and CNC lathes and mills, furnaces for heat-treating, a full wood shop and advanced fabrication machines. Through this combination of fabrication methods, students can choose the best process to make their design. 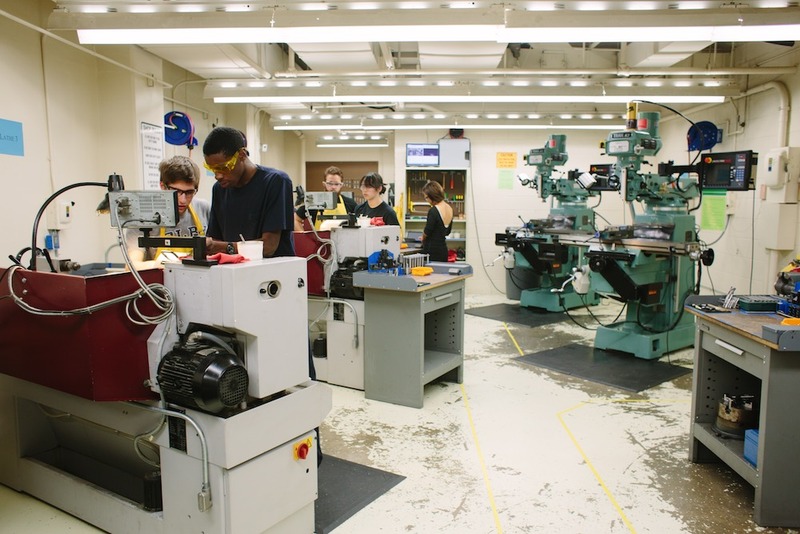 Any Claremont College student or faculty member may work on their own projects in the machine shop after undergoing a safety orientation and passing an associated test. A select group of students are trained to supervise their peers and manage the facility during shop hours. These shop proctors assist peers and at times instruct their own professors in the safe and proper use of machines. 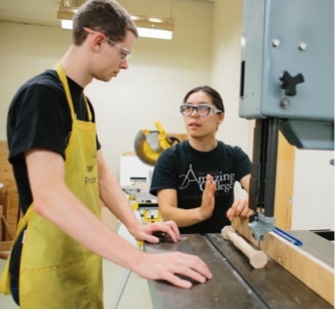 The machine shop is most commonly used by students taking Harvey Mudd’s Introduction to Engineering Design and Manufacturing (E4) course, where students build a hammer from scratch as a major design project. 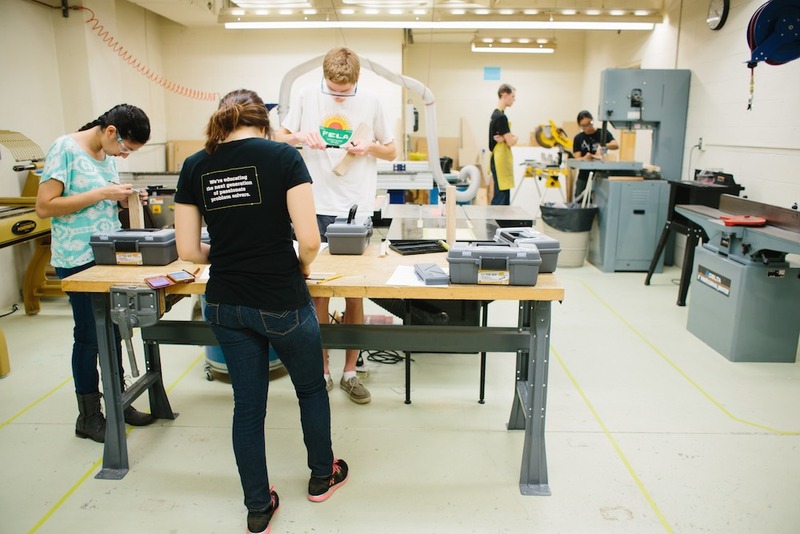 In addition, students participating in Harvey Mudd’s Clinic program, Autonomous Vehicles (E11) course and research across various disciplines frequently use the shop to design and manufacture parts needed for research projects. The machine shop’s management team continuously strives to make the shop a safer and more efficient environment for users and welcomes any feedback regarding the shop. More information about the RC Baker Foundation Machine Shop can be found at the shop’s Wiki page.